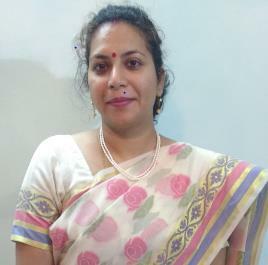 Dr. Jyotsna Prabhakar is associated with University of Delhi as Assistant Professor in the Department of English at P.G.D.A.V.College (Evening) for more than ten years. She completed her education from Kurukshetra University, Kurukshetra. Besides her doctorate in contemporary Indian English literature, she has also done M.A. in Mass Communication and Journalism from the same university. She has keen interest in research in the field of interdisciplinary, cultural, translation and environmental studies. She has written and published several research articles in various esteemed books and Journals. For recreational purposes she writes poetry in Hindi and English which have found their way to print and Electronic media. She is Assistant Editor of a UGC approved, peer reviewed Inter-disciplinary International Journal INDIAN ETHOS (ISSN 2249-4324).